Scroll down for my exciting post this morning! 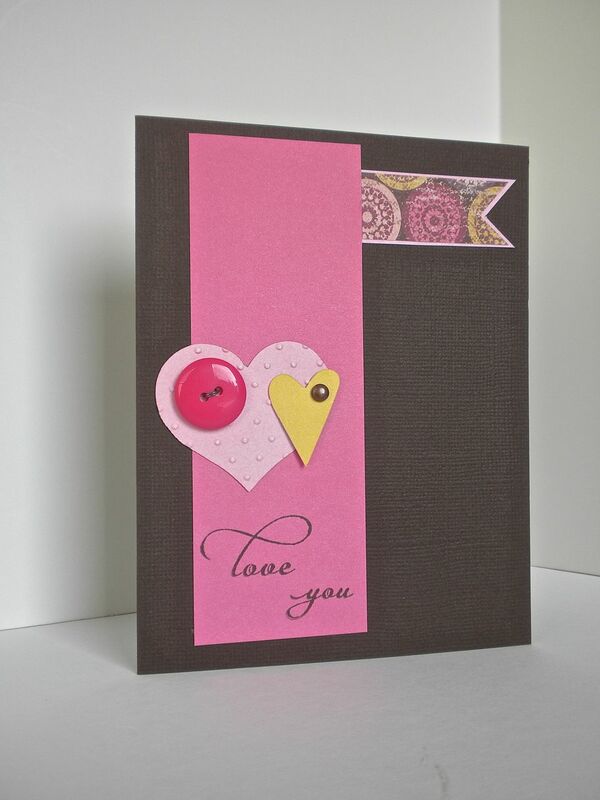 Here is my simple Valentine: Don’t you just love pink and brown? I do! Thanks for dropping by and have a great evening! I will be back tomorrow with another Retro-Valentine! Categories: Cards, challenges | Tags: Card making, Cards, love, rubber stamps, sketch challenge, stamping, Valentine, Verve Stamps | Permalink. Pink and Brown are one of my FAV color combos! Really wonderful card! So glad you played along with us in this week’s CAS(E) this Sketch! Fabulous mix of elements, love the colors 🙂 Thanks for playing this week at CAS(E) this Sketch!